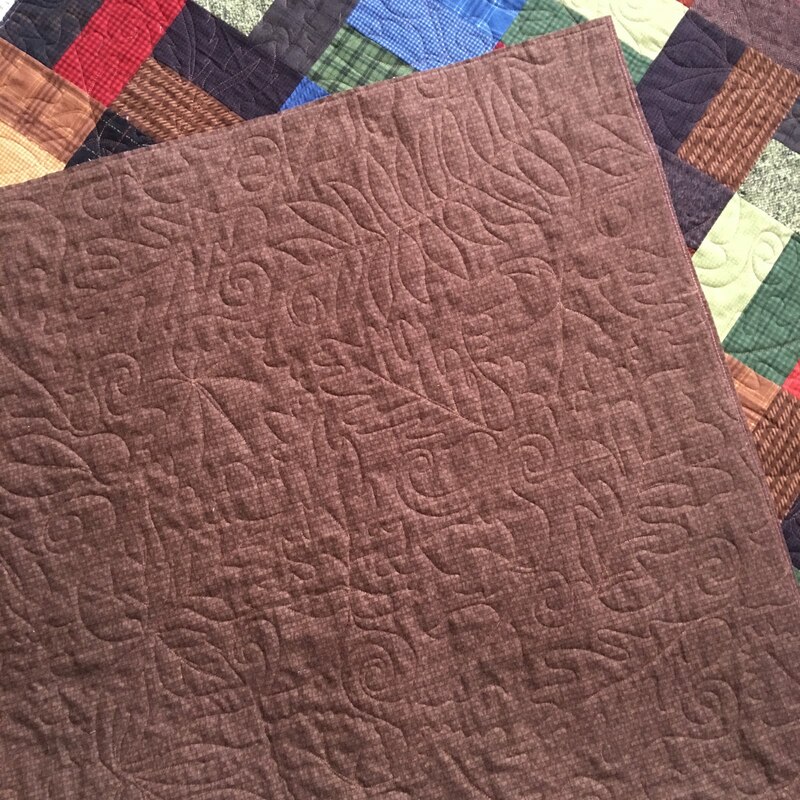 "Falling Leaves" has an amazing 85" repeat, with 4 shift positions (longarm quilters know what that means--even more randomness), which makes it look freehand. 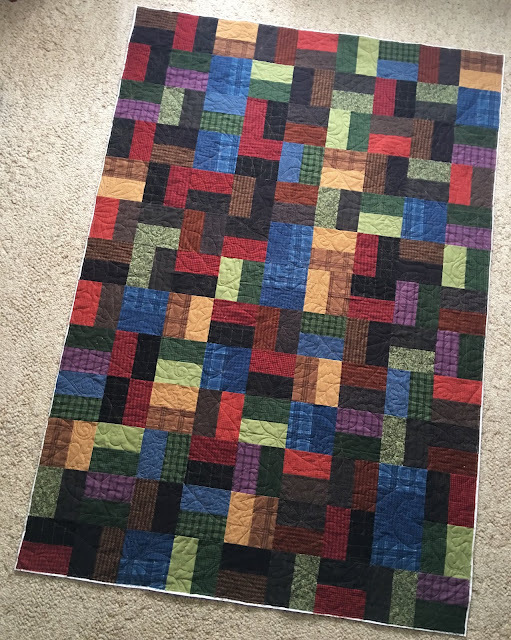 This quilting design, "Falling Leaves" is by Sophie Collier, who is a member of our Minnesota machine quilters guild, Upper Midwest Machine Quilters. 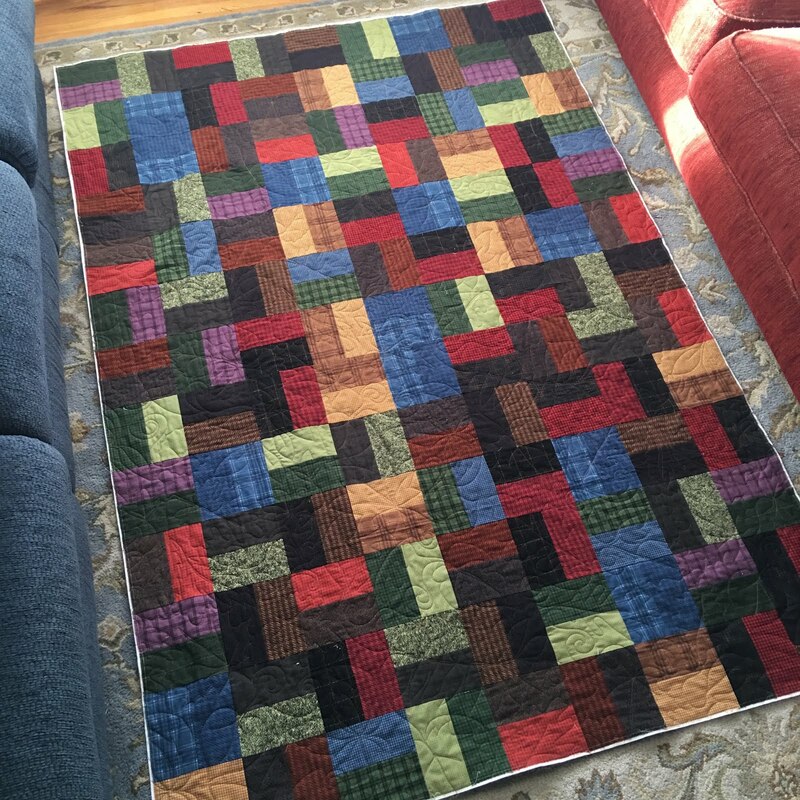 Kim, great quilt! May it be loved and cherished and used for years to come. Very nice! I have no idea what shift position means, but it looks great and random! 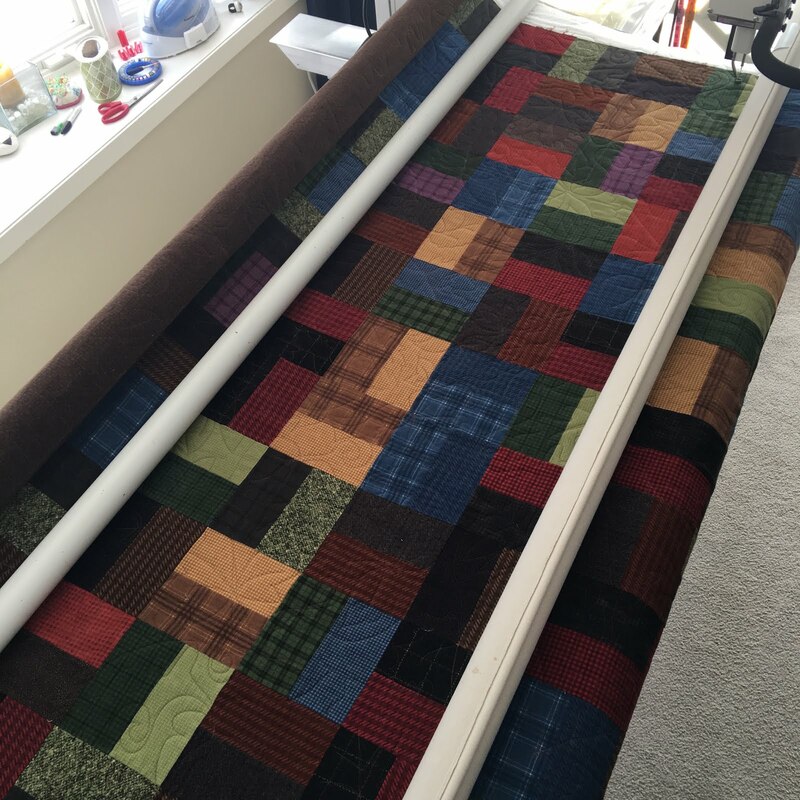 The perfect quilting for Connecticut, what a warm snuggly quilt it will be. 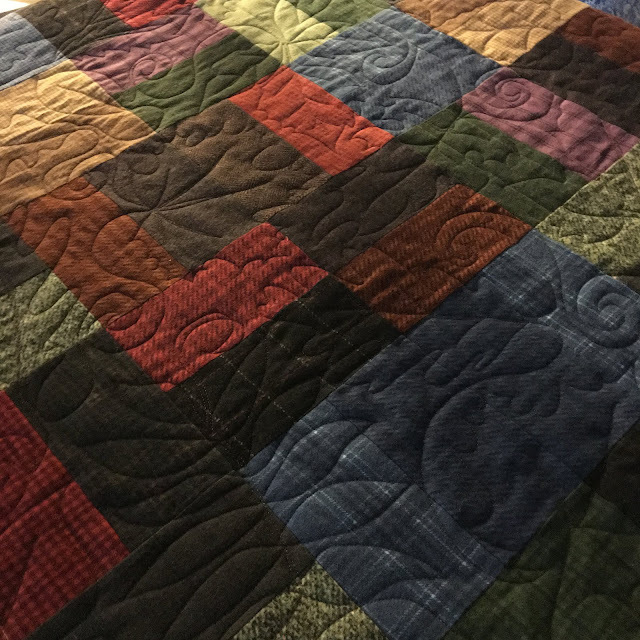 The leaves make a lovely quilting pattern. Perfect for the flannel. Thanks for sharing this finish. Love the matching of the quilting pattern to the user's request and the cuddly flannel.